This was the longest sail of this rotation and it passed quite peacefully. The winds weren't too strong for the most part so the boat wasn't heeled over too much which makes living conditions easier. As expected the weather has been warm but I'm surprised how cool it got at night. Definitely sweaters needed for night watch. Speaking of cool weather I had the chance to throw a few snowballs at unsuspecting people… because of defrosting the freezer, not any strange weather phenomenon. 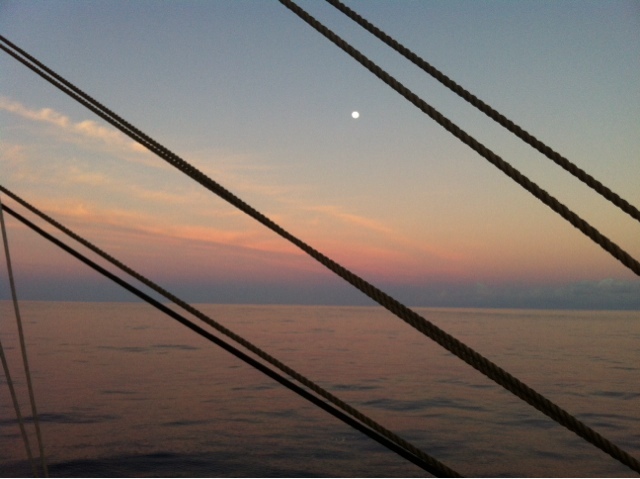 Towards the end of the sail there was a full moon and it was going down on starboard as the sun came up on port. Quite a sight! 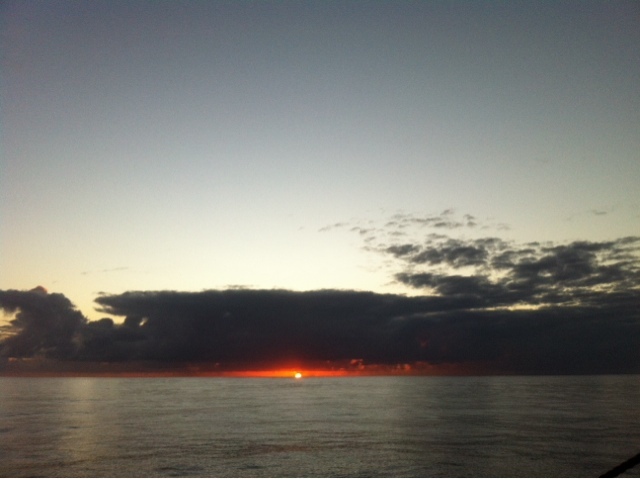 Now that we're further from the equator the sunsets and sunrises are longer and more spectacular. The students had exams for a few days and when those were done we had an afternoon deep cleaning the ship. I worked on learning a bit of celestial navigation. Mainly how to figure out your longitude by shooting the sun at noon using a sextant. The sextant is remarkable hard to use. It sounded easy but is a little more tricky in practice than in theory. Hopefully I can work on that some more. There is also a lot of math involved and that is a little easier to get a handle on. And now I'm half way through my rotation! 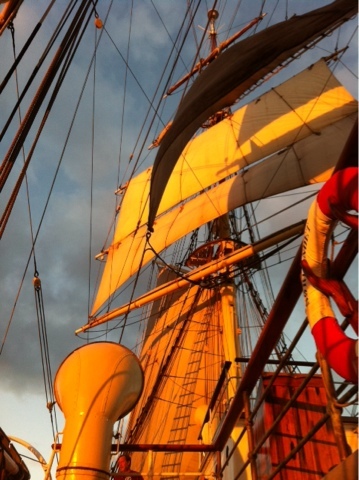 Two more sails to come.